We’d love your help. Let us know what’s wrong with this preview of The Green Zone by Chris Hambleton. The Article V movement has been crushed and the Convention of States that it spawned has been dissolved. The organizers of the movement have been rounded up by Homeland Security or driven underground. Any chance for a peaceful redress of grievances from the federal government is over. As any hope for political reforms of the Washington leviathan fade, the Sons of Liberty ta The Article V movement has been crushed and the Convention of States that it spawned has been dissolved. The organizers of the movement have been rounded up by Homeland Security or driven underground. Any chance for a peaceful redress of grievances from the federal government is over. As any hope for political reforms of the Washington leviathan fade, the Sons of Liberty take matters into their own hands and renew their Ultimatum. If the terms of the Ultimatum to rein in the tyranny are not enacted by ballot, then they will be by bullet. 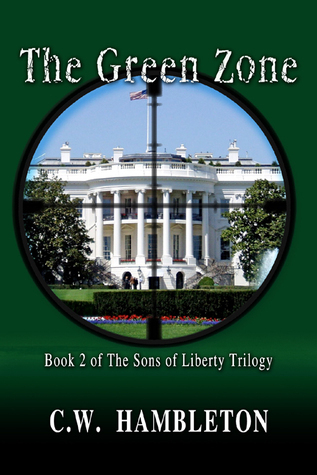 With an isolated, out-of-touch president coasting through his seventh year in office, the Sons of Liberty set out to make his last few years in office the worst in American history. To ask other readers questions about The Green Zone, please sign up.